Dragon Ball XenoVerse lets you customize your own fighter, but good luck with the dull, unfair fighting. No doubt a dream come true for fans, but with so little innovation in the core gameplay the boast of being an interactive cartoon seems more like a liability than a positive. Dragon Ball Xenoverse doesn't excel as a fighting game, but the customization options and fresh story beats add a new spin to a stagnant series. Dragon Ball XenoVerse may not have a complex fighting system, but this game is all about fan service! Why else would the developers let players fight as Goku against Frieza, then Goku vs. Cell, and then Super Saiyan Goku vs. Kid Boo in the very first scenario? 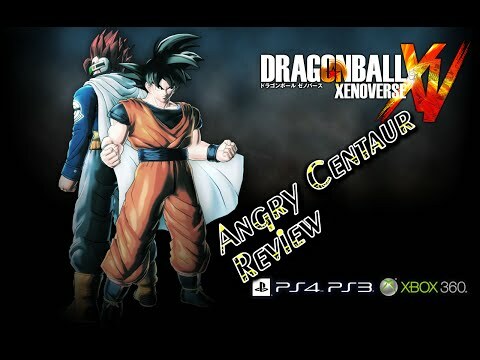 Xenoverse is worth a recommendation for diehard Dragon Ball Z fans interested in participating in the story. Seeing your own created character interact with legendary moments from the anime is satisfying, and it's fun to witness characters like Nappa and Goku become allies. However, the shallow and repetitive gameplay lacks the same impact, and the long grind is a heavy burden. Those without such a strong attachment to the franchise may not be able to stomach the compromise. Fans of previous Dragon Ball games will no doubt have a field day with XenoVerse. Aside from the immediate sense of familiarity, it has a shedload of content to wade through, including a trove of iconic items and clothing that can be used to customise your own unique character. Online play is also quite the boon, allowing you to saddle up with friends in a Monster Hunter kind of way. Inevitably, however, there will be those who simply don't see the appeal of XenoVerse's core gameplay, and it ultimately grates as it becomes repetitive no matter how much you enjoy it at first. Dragon Ball Xenoverse is definitely the best Dragon Ball game in years, though certainly not without its flaws, which shakes up the typical formula and is bound to shape the future of the series. Dragon Ball Xenoverse is excellent fan-service and has a ton of potential, which makes it frustrating as hell to see it held back by technical issues and repetitious combat. What it comes down to is if you're not a fan of DragonBall, this score will seem too high. If, like myself, you are a fan, this score will seem too low. It's a game with flaws but it plays very well to its intended audience which, in my books, is a job well done. Even though their gamble with the online connectivity and a few fundamental mechanics fell flat on its face, as a long time fan to the series, I found the experience pretty enjoyable all the same. Dragon Ball Xenoverse is a pretty addictive and satisfying entry in the series, despite some noticeable shortcomings. Sadly, if you've been holding out for a more traditional Dragon Ball fighter, Dragon Ball XenoVerse isn't it. It is, however, a well realised and refreshing take on Akira Toriyama's universe, which allows fans to appreciate the source material from a whole new angle. Accessible, bombastic combat, entirely customisable characters, and some fantastic online functionality give the game a unique identity, and arguably make it one of the most ambitious licensed titles that we've seen in years. Xenoverse isn't a particularly great fighting game, or even an above-average one, but it's clearly the best entry in this long-running franchise in quite a while. Overall, XenoVerse is a welcome change of pace for the Dragon Ball fighting formula, which was starting to get stale even for some die-hard fans. Admittedly, the fighting can feel unwieldy at times and it isn't the most technical entry you'll find in the genre. The addition of online RPG elements, however, is something I really liked so I hope Bandai Namco builds on that in the future. Xenoverse blurs the line between video game and anime. Despite a few issues, there's tons of replay value here, and fans can finally fulfill their dream of putting themselves in Dragon Ball. Fans of the Dragon Ball franchise and its video games would be remiss not to pick up Dragon Ball XenoVerse.